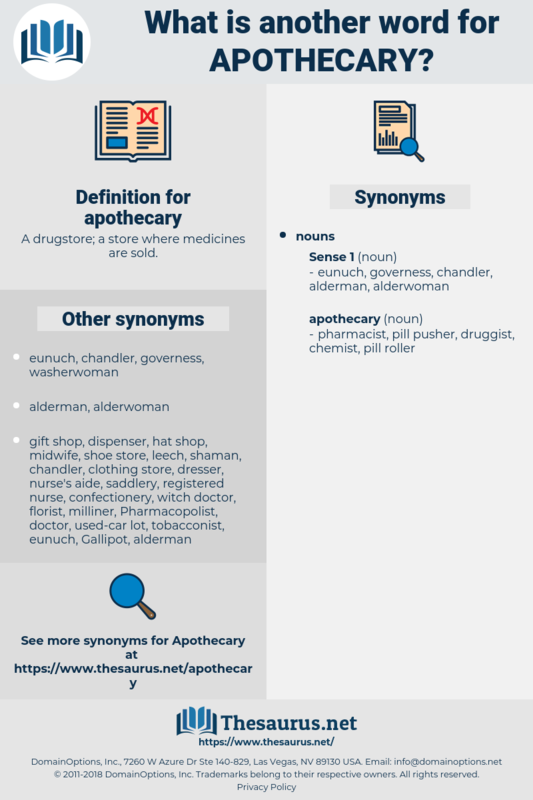 What is another word for apothecary? A drugstore; a store where medicines are sold. He exhibited its powers before his master, the apothecary Zorn, and by some trick or other succeeded in making him and several other witnesses believe that he had actually converted copper into gold. 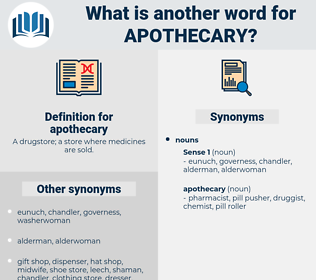 The apothecary was talking with another man, at the time; but he took the prescription, and Rollo watched his countenance to see how perplexed and puzzled he would look, when he tried to read it. caregiver, health care provider, pcp, health professional, primary care provider.